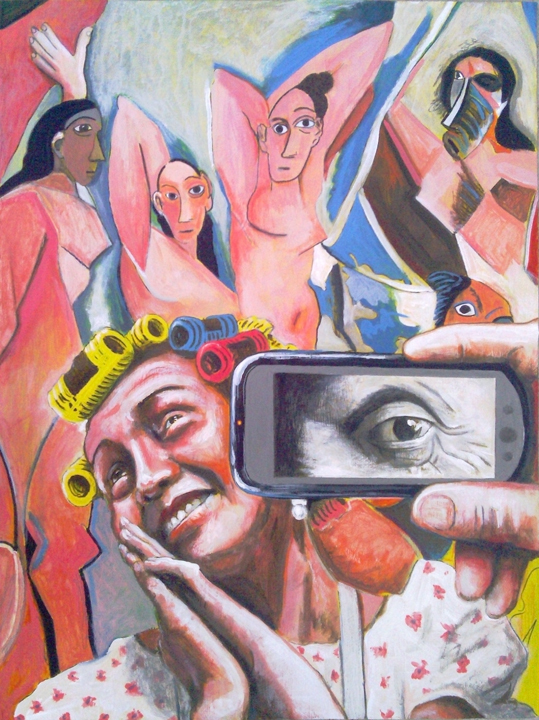 “El Chapulin Colorado”, “El Chavo Del Ocho”, “La Chilindrina”, “Quico”, “Don Ramon”, and several other characters, are part of the “popular” comedy (for the masses, of course) brainchild of the legendary writer and actor Roberto Gómez Bolaños, better known as “Chespirito”. 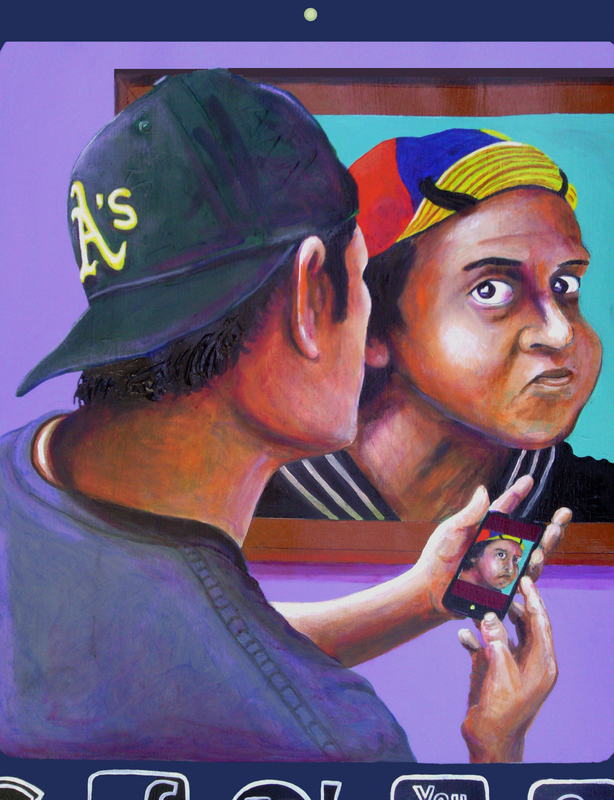 This painting is inspired by El Chapulin Colorado portrayed by Chespirito. 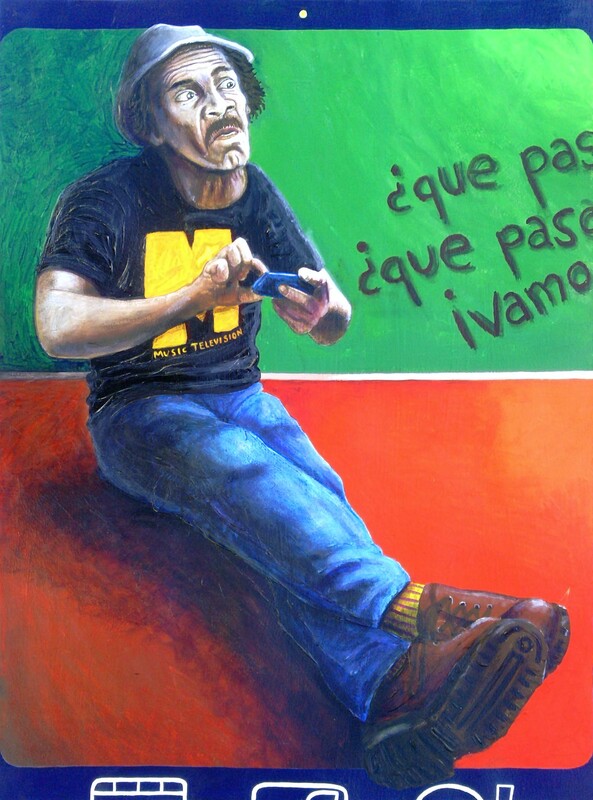 El Chapulin Colorado is a goofy superhero, in this painting he is taking a break by wearing an M&Ms t-shirt and checking his latest tweets in his android phone. 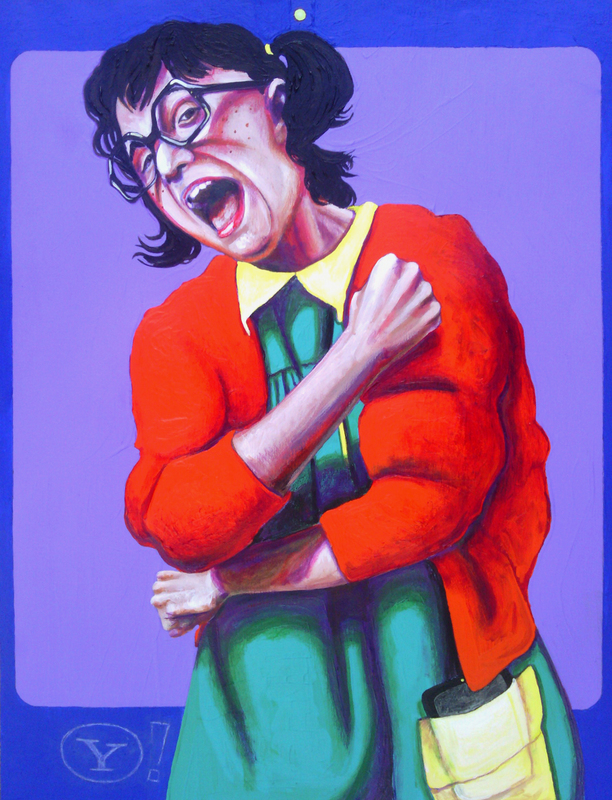 gotta love “La Chilindrina” !